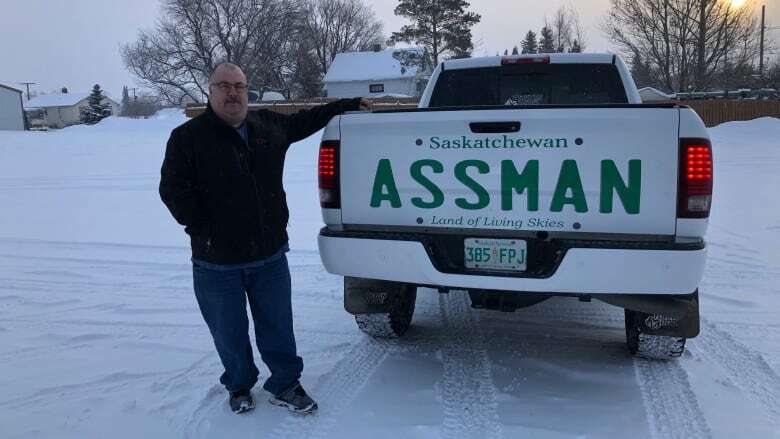 The short version is that Dave Assman was denied a personalized plate with his last name on it because his name is offensive, so he had decals made to look like a plate and covered his whole tailgate with it. And I love Assman's style. He went about it incorrectly. In the years I lived in NYC, I saw these all of the time. Yeah but his tailgate is so much bigger ( pun not intended ). is it incorrect to assume he likes a big tailgate? Somebody is trying to get the attention that his physically or emotionally-absent daddy never gave him. And best of all, I actually believe what I said. She never rides in that vehicle. Hey, I resent that. I'll have you know that my father is a great man and was an excellent father. None of my deficiencies are in any way his fault! Or were you talking about the Assman?